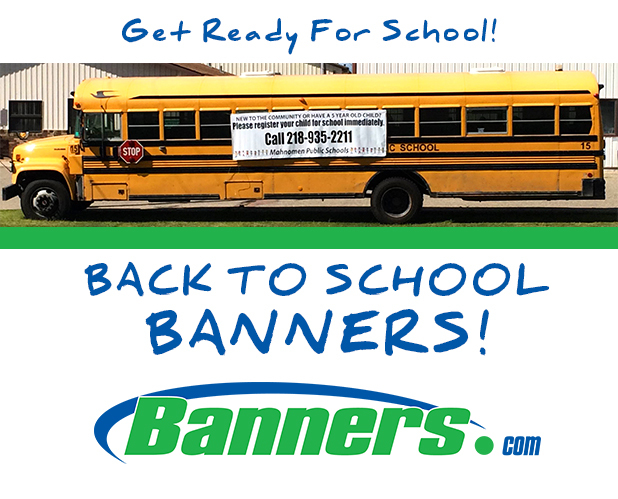 Banners.com printed a vinyl banner for the Mahnomen Public School District. They were trying to increase the number of kids who were pre-registered for school. After they received the banner, they hung it up on a school bus. Thank you for sharing the photograph! If you need back to school banners, visit our back to school banners page. You can customize a template, upload your own artwork file, or work with one of our graphic designers.